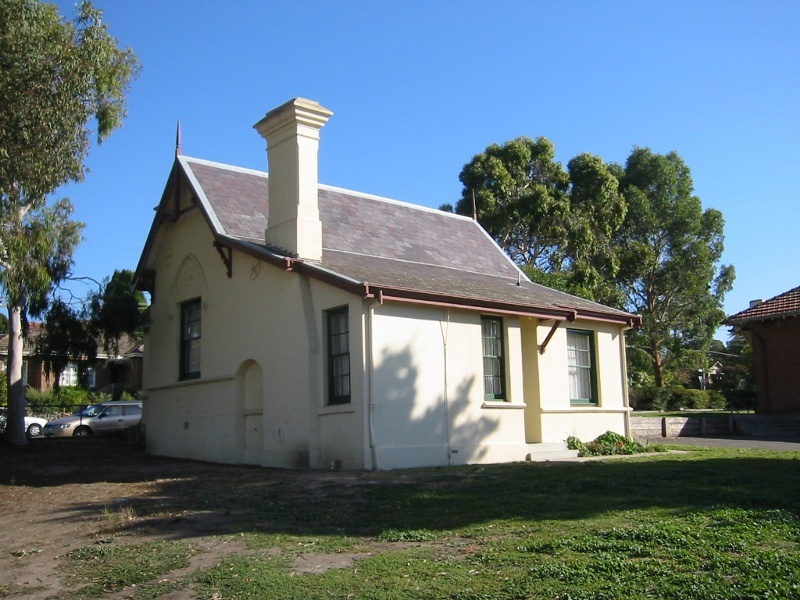 The head teacher's residence at Heidelberg was constructed in 1878 when it was decided to replace the existing Heidelberg State School with a new school building. The existing school was the first government school in the district, built on this site in 1853, however a decision was made to replace it due to the expected expansion of pupil numbers. The head teacher's residence was located on the block adjacent to the school, and both buildings were designed by Henry Bastow of the Public Works Department. Both the school building and the adjoining, detached residence were designed in the Gothic Revival style, the school displaying polychromatic brickwork and the residence having a render finish. This style was typical of Bastow?s work of the period with many school buildings of various sizes displaying Gothic characteristics. The school was replaced in 1922-3, although a small portion of the 1878 building was incorporated in the north-west corner of the new building. The rendered brick house has a steeply pitched slate roof and the asymmetrical, picturesque composition incorporates a projecting front bay with jerkin head roof, iron finial and pointed arch window. The main cross gabled section incorporates pointed arch windows at either end and did incorporate timber finials and king post trusses. Pointed arch label moulds above windows terminate in moulded bosses and carved timber brackets support projecting eaves. Designed as a small, five roomed house, the original residence included three bedrooms, a sitting room and kitchen. 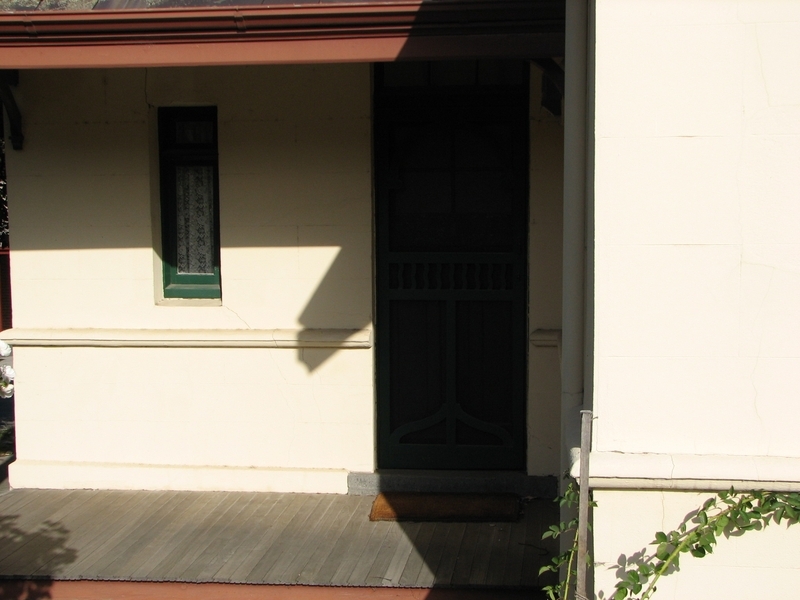 Various additions were made to the house in an attempt to make it more habitable, including the construction of the front verandah in the 1880s, the back verandah and bathroom c.1890 and in 1922-23 the rear of the house was remodelled. Various window changes have been made including the replacement of original casement windows with double hung windows and a sun hood was added to the front window, probably in the early twentieth century. Many structural and maintenance problems have occurred since the house was built, resulting in the need for constant repair work. Due to its size and condition, the building became inappropriate for teacher accommodation and from 1905 the house was tenanted. By 1922 it had become known as the caretaker's quarters and remained in use as such until recently. Renovation work was undertaken by the school in 2000 for its conversion for school use. 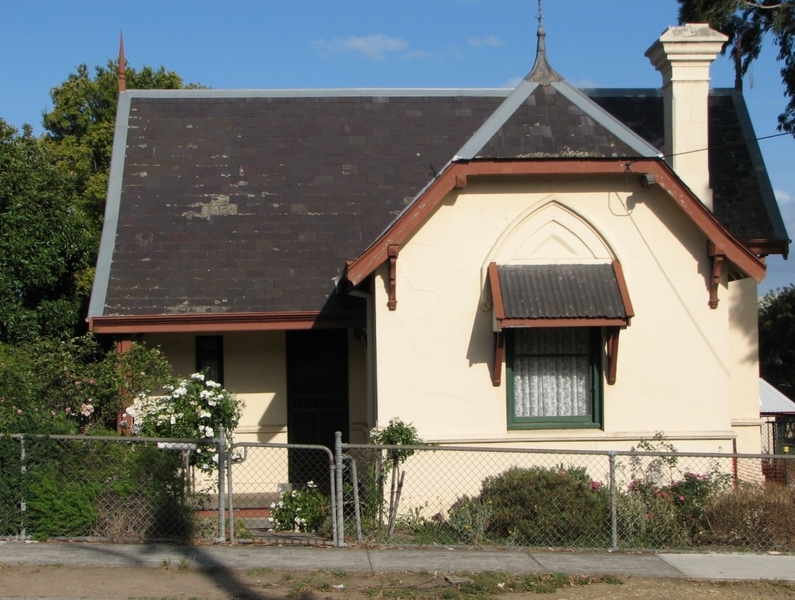 The former head teacher's residence is of architectural and historical significance to the State of Victoria. 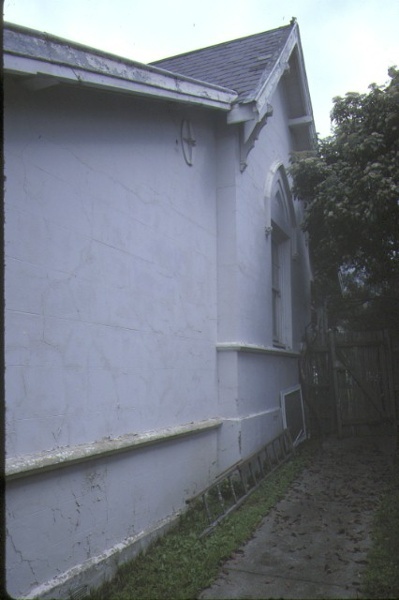 The former head teacher's residence is of architectural significance as an example of the Gothic Revival style, unusual when compared with other residential styles in the area. 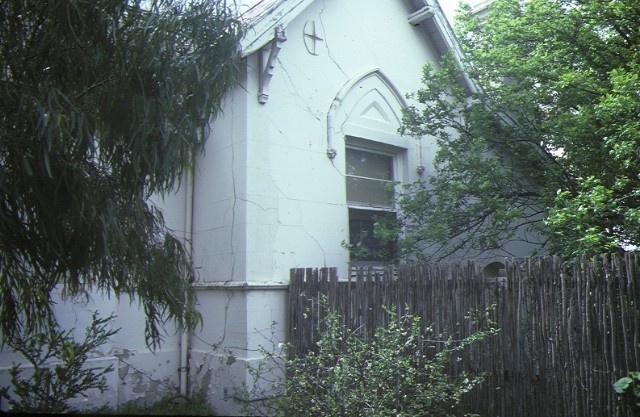 Apart from a portion of the 1878 school building, the residence is important as the only remaining Gothic element from the 1878 development of the site. It is an unusual residential example of the work of architect Henry Bastow of the Education Department. This residence is of historical significance as one of a small number of nineteenth century government built, detached teacher's residences surviving in Victoria. It was unusual for such a house to be detached from the school itself. By 1888 attached residences outnumbered detached residences by three to one. It was particularly unusual for any type of residence to be provided at city schools, where it was assumed that accommodation was available for head teachers. The relatively remote location of Heidelberg in 1878 may have resulted in its construction. 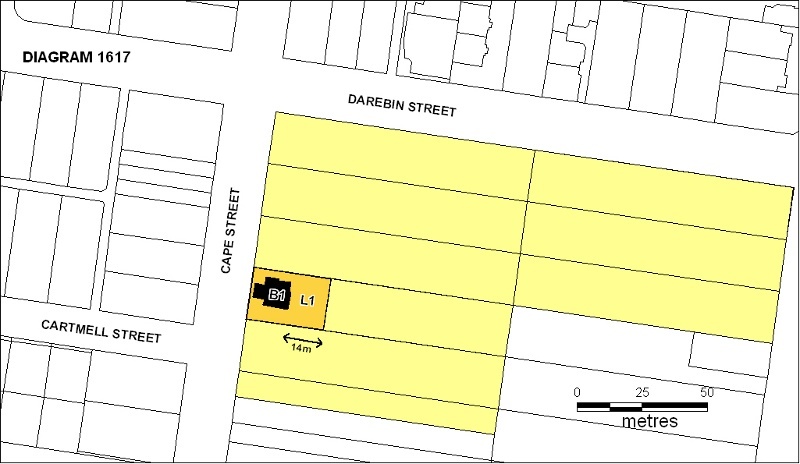 This residence is of historical significance as an illustrative example of the standard of accommodation provided for teaching staff at the time and the policy of relating the size of the residence to the school size rather than to the number of likely occupants. 1. All of the building marked as B1 on Diagram 1617 held by the Executive Director. 2. All of the land marked as L1 on Diagram 1617 held by the Executive Director. The head teacher’s residence at Heidelberg was constructed in 1878 when it was decided to replace the existing Heidelberg State School with a new school building. The existing school was the first government school in the district, built on this site in 1853, however a decision was made to replace it due to the expected expansion of pupil numbers. The head teacher’s residence was located on the block adjacent to the school, and both buildings were designed by Henry Bastow of the Public Works Department. Due to its size and condition, the building became inappropriate for teacher accommodation and from 1905 the house was tenanted. By 1922 it had become known as the caretaker’s quarters and remained in use as such until recently. Renovation work was undertaken by the school in 2000 for its conversion for school use.